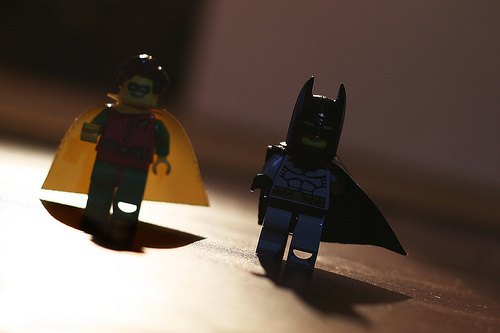 Social media and email marketing go together like Batman and Robin. I got that line from The Rebel's Guide to Email Marketing and it's so very appropriate. There are tactics you can use to cross-promote and grow both communities. Social Sharing is all about encouraging your newsletter readers to share your newsletter with their friends. This encourages new people to subscribe. You always want to include social sharing buttons in your newsletter whether you use social media yourself or not. In fact, I suggest putting at least 2 sets of social sharing buttons if your newsletter is lengthy - near the top and bottom. Social Connecting means asking your readers to connect with your social media accounts - to Like you and to Follow you. This grows your online network.